Yesterday the EUR/USD currency pair attempted to break the level of 38.2%, but failed, and right now the price is moving below it. It looks like the pair is starting a correction, at least. The target for the bears will be the level of 38.2%. 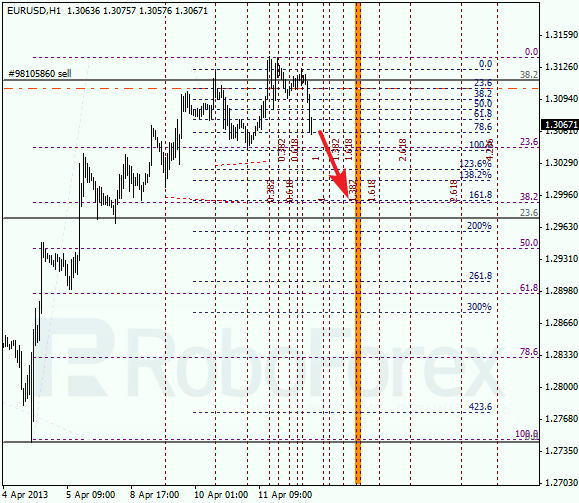 An additional target is the level of 1611.8%. 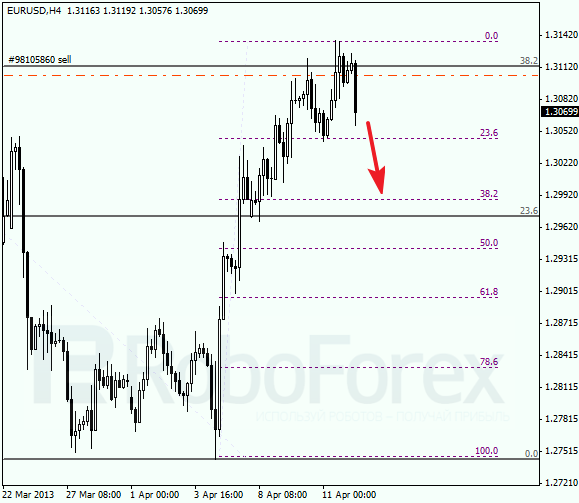 Analysis of temporary fibo-zones indicates that medium-term targets may be reached in the beginning of the next week. However, the vertical levels are very close to each other, that is why the pair may reach predicted levels by the end of today. Franc rebounded from the 50% level once again. It looks like the price is making a reverse upwards right now. The first target for the bulls will be at the level of 38.2%. If the market breaks it, the price will continue growing up. 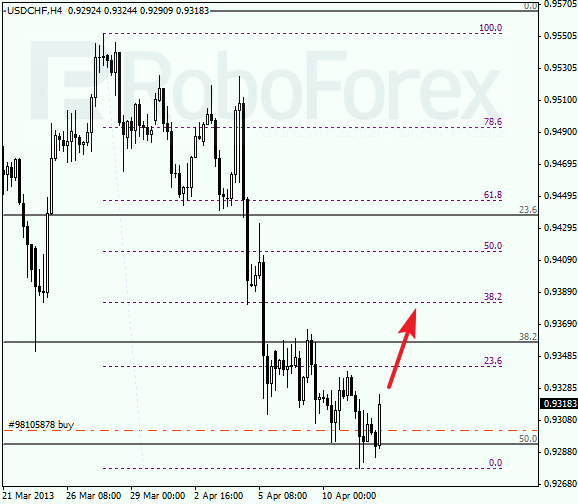 As we can see at the H1 chart, the target for the next several hours is the zone between the fibo-levels of 38.2% and 161.8%. Analysis of temporary time-zones indicates that the targets may be reached by next Monday. The stop on my buy order has been already moved into the black.